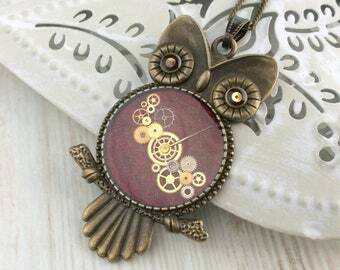 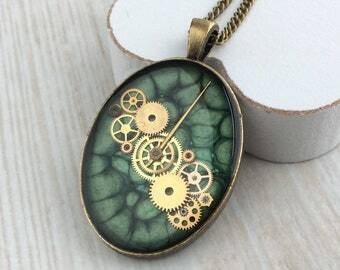 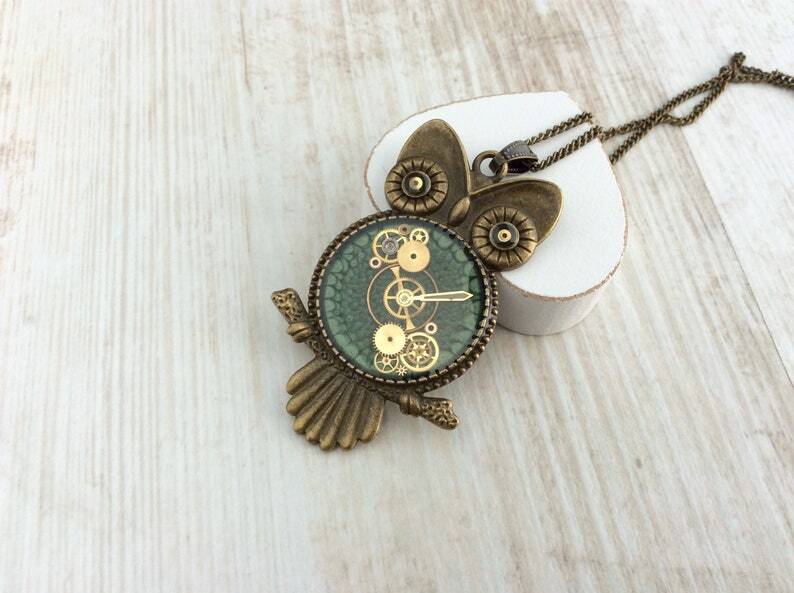 This beautiful, large bronze, Owl pendant, has been painted with a two tone green paint, before having layers of hand picked, tiny watch workings carefully placed, to give the appearance of a working mechanism. 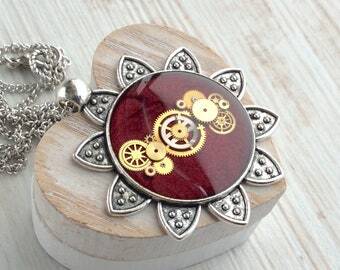 I have then sealed in the design with a crystal clear resin, to show off the beauty of the workings and allow the light to bounce off and give a wonderful smooth finish. 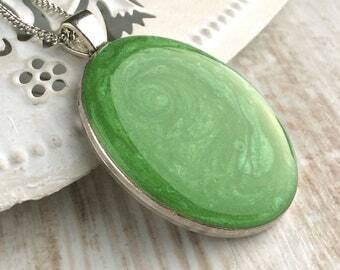 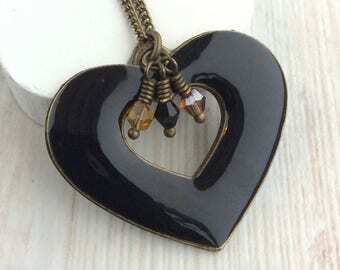 Your pendant will come on a bronze plated chain, in a length to suit your style. 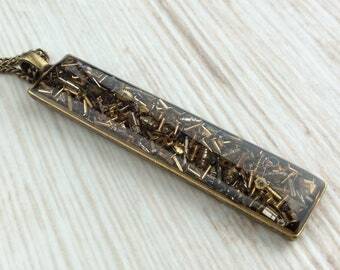 Choose your desired length using the options when you purchase. 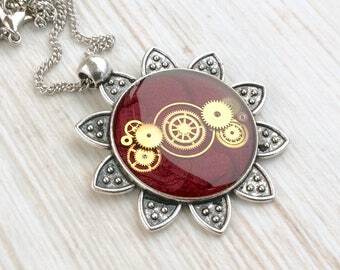 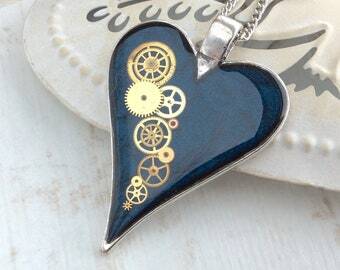 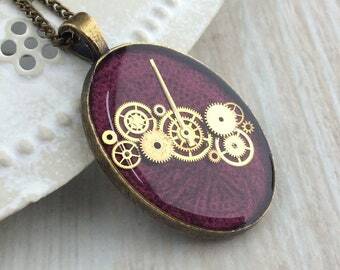 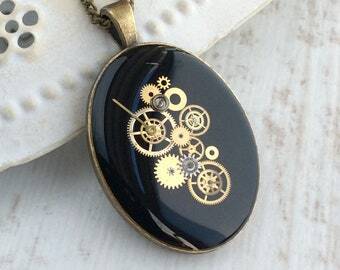 Please note that you will receive the EXACT item you see in the pictures as I use different watch workings for every pendant. 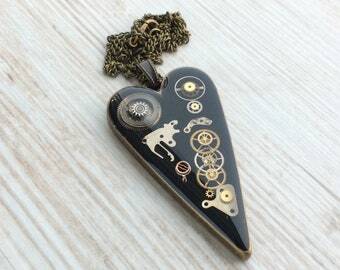 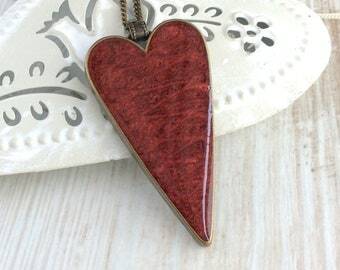 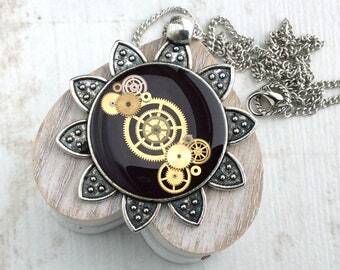 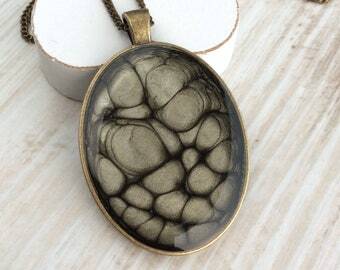 The detail within each pendant varies and so will be unique to you.